At one time several years ago, not a day went by when I didn't sell a Whiskey Sour or two or three or four at the restaurant. Recent years has seen a return to "basic" cocktails. This cocktail is now regaining popularity. There is something special about the simple cocktails. They are enjoyable and well known from a customer standpoint, and easy to assemble from behind the bar. This particular drink reminds me of both a good man and one particular bad experience with another. The good time experience was that my father-in-law would like to have one of these about 5:00 PM before his dinner. It was a ritual with him. This beverage was what he usually wanted. 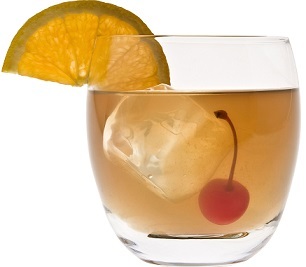 The bad experience was having a regular restaurant guest who also liked a whiskey sour. He was known locally as "Potato Joe" because he worked every year for several potato farmers. Every day after work Joe would come to the restaurant and order one of these whiskey cocktails. Then one evening he waved me over to the bar and quietly explained that he had run himself a little short of cash. Could I loan him $100 until payday? Payday for Potato Joe was three days off. I thought I probably shouldn't, but took the chance anyway. You can guess the rest of the story. I never saw Potato Joe again. Preparation time: 1 minute. Serves 1. I read somewhere that the original drink recipe contained a teaspoon of raw egg white. If true, no one I know ever uses raw egg white today for health reasons. Enjoy your Whiskey drink recipe and the company of those you share it with! It is a famous restaurant drink recipe. Did you know? 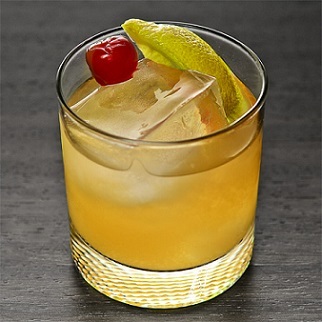 The recipe itself was first written down in the 1862 book "The Bartender’s Guide" by Jerry Thomas. However, the basic recipe was known since the early 1700’s.